Sometimes losing a data happens when you accidentally delete a photo, video, or other valued files from your phone, and getting the best free data recovery software that can restore it for you without spending a dime can bring you a headache. Have you lost data on your Android due to deleting, formatting, virus attack, or phone hanging? However, there might be different reasons that may cause data loss issue to you other than accidental deletion such as hard resetting due to the phone not starting up, phone breaches, etc. All you gonna do is to get a good free data recovery software for your Android and restore them back. As we all know, getting Android deleted data back is a very difficult task, but hey! don't worry. Today I'm going to share with you the best free data recovery software you can use to recover photos, videos, files accidentally deleted from an SD/microSD or internal memory from my list of top 5 best Android data recovery software with just some few steps from the depths of your Android phones and Tablets no matter where and any kind of data you may have lost. Now, let's get started with the list of best free Android data recovery software(s). Below is a list of some most powerful free data recovery software, the first data recovery in our list here is called “Dig Deep”. DigDeep is a powerful data Recovery that Searches your SD card and internal storage for deleted images and restores them again easily. 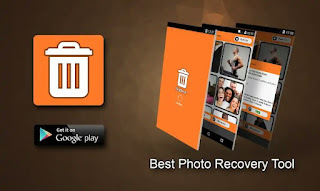 To recover photos, videos, files accidentally deleted from a microSD Card or phone's memory, all you have to do is to download this app and grant it access to Scan all your phone’s internal and external memory to recover deleted files from Android internal memory. Using deleted video recovery software for android is the easiest way to recover deleted files on your Android phone. DigDeep app is developed by GreatStuffApps to best serve as a data recovery for Android smartphone users. Below is a link to download its updated version - click here to download Digdeep image recovery app. DiskDigger is also another Android file recovery software designed to recover files from Android phones and tablets without root. As the name implies, DiskDigger has powerful and unique features that can dig deeper into the depths of your phone's storage either SD card or the inbuilt memory to find your lost pictures, videos, and let you restore them back to their normal stats. Whether you accidentally deleted a photo or even reformatted your memory card, you don't have to be worried. DiskDigger can undelete and recover lost photos and images from your memory card or internal memory. This app also packs other features such as uploading your recovered files directly to Google Drive, Dropbox or send them via email. The app also allows you to save the files to a different local folder on your device. 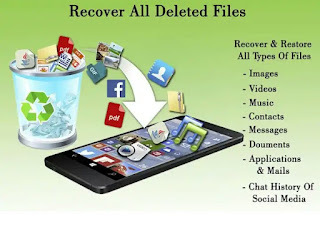 Restore Image is another free data recovery software for android mobiles that gives you the wisdom to locate the deleted photos from your Android mobile. If you are having difficulties in bringing back your erased images by accidentally deletion, then “Restore Image App for Android” AKA super easy is another great option for you to recover deleted files from Android internal memory again! Restore Image is totally free to use, this means you can enjoy all features without limits. Click here to download Restore Image Apk official updated version. The dumpster is one of the best Android recovery software and yet a powerful recovery wizard for Android. 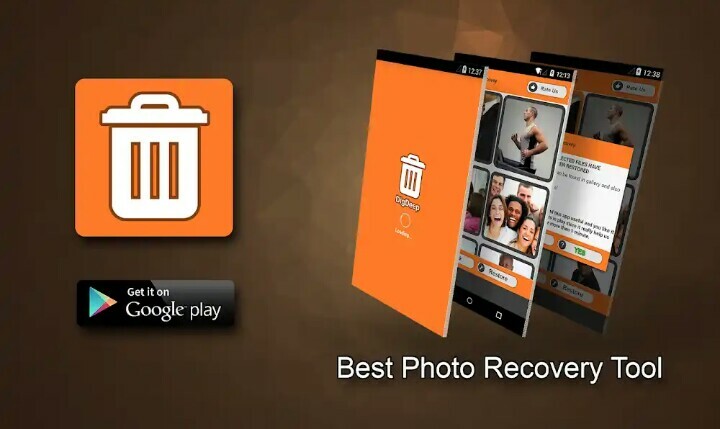 You can recover deleted photos, videos, and files on all Android devices using Dumpster. Not only accidentally, you can deliberately delete important photos and videos from your device without having a fear of losing them, because the Dumpster got you covered, the powerful Android recycle bin. Once the app is being installed, it will automatically backup and save all of your newly deleted data, allowing you to easily undelete pictures and videos, and instantly restore them to your phone. Click here for Dumpster Apk Pro free download. Dr.fone is an Android application with a self-proclaimed “the world’s 1st Data Recovery Software for Smartphones and Tablets”, this app also supports recover photos and videos from the cache, thumbnails, memory card and internal memory. Wondershare Dr.Fone also has the ability to easily transfer any files between devices and PC wirelessly and effortlessly. Dr. Fone Apk cracked version is available but here I would recommend using the official free version. Click here to Download Dr.Fone Apk for Android. There are lots of data recovery Apps for Android OS, but the above listed are some of the top rated free and reliable ones you should install on your Android device.